I can't believe its been soooo long since I last posted. I had a bad case of tendinitis at the beginning of April which kept me off-line for a few weeks - it took a couple of weeks to find out what was wrong but once I got some good drugs I was fine. 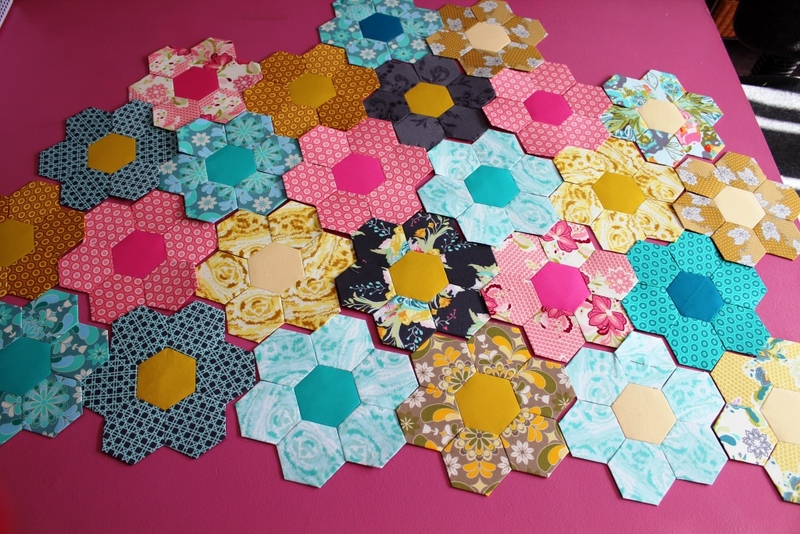 But having the sore shoulder kept me away from sewing as well - I actually spent a week on the couch as I was in quite a bit of pain as I couldn't sit up but I did manage to get a few hexies done that week - I'm now 1/3 of the way through my Hexy MF quilt-along! I obviously got out of the habit of blogging fairly quickly but I have so much show and tell I'll probably be posting every day this month ! I'm hoping to link up with A Lovely Year of Finishes for July - just need to find one project that I can get done in a month ! Its also time for the final of the 2nd quarter of 2013 Finish-A-Long. I have made progress on my projects for that but I still don't have a complete finish - I'm off to finish the quilting on Lucy's quilt as I promised my mum that I wouldn't show another photo of that quilt until it was done - I was hoping to have it totally finished but the hand binding will take a little time so I'll have to settle on having that done next week. Glad to hear you are feeling better. 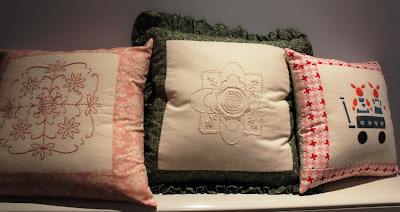 Just love your pillows! Nice to hear that you are ok, and I too have a shoulder injury and understand your pain. 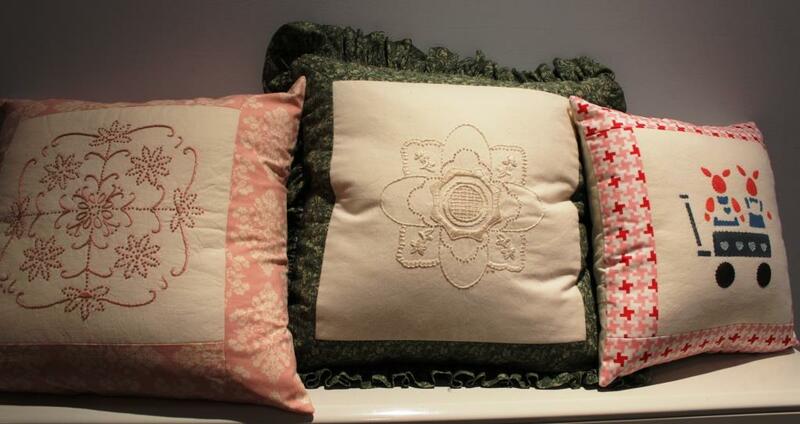 Your projects are lovely, I hope you will be sewing more now too. Yeah, you're back! Sorry to hear about the shoulder (mine's also bad at the moment but fortunately not bad all the time, just when I tweak it), hope it's completely better by now? Your Hexy MF flowers are gorgeous! Oh my! I didn't know about your health problems. Pain isn't good, and I understand how it can prevent you from doing many of your usual things. It's good to know you're feeling better, and back at it. 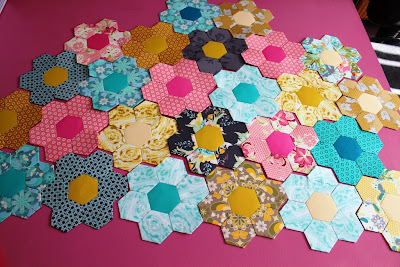 Love those hexagons... and I will continue to do so from a distance. I've successfully resisted many, many enticements to participate!